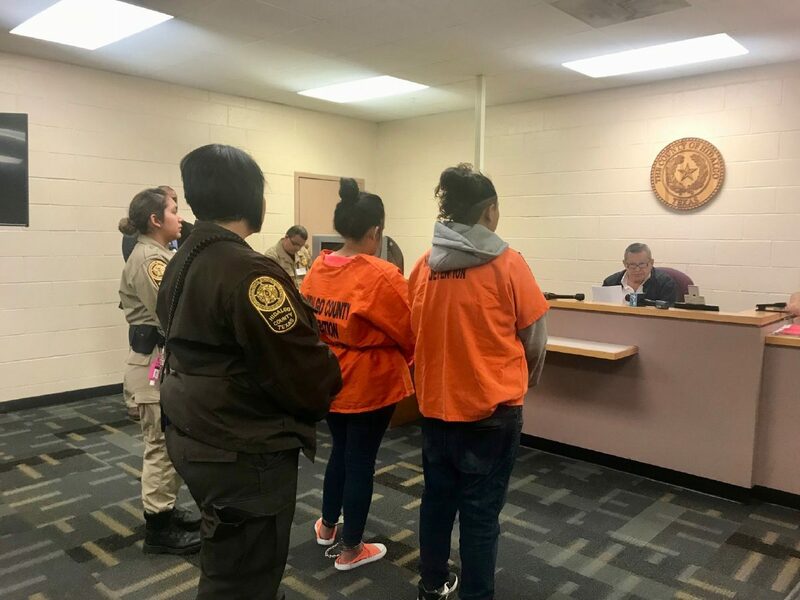 Janette Loera, left, and Kristine Silva Dimas appear for their arraignment on attempted capital murder charges at the Hidalgo County Sheriff's Jail Sunday, April 8, 2018. 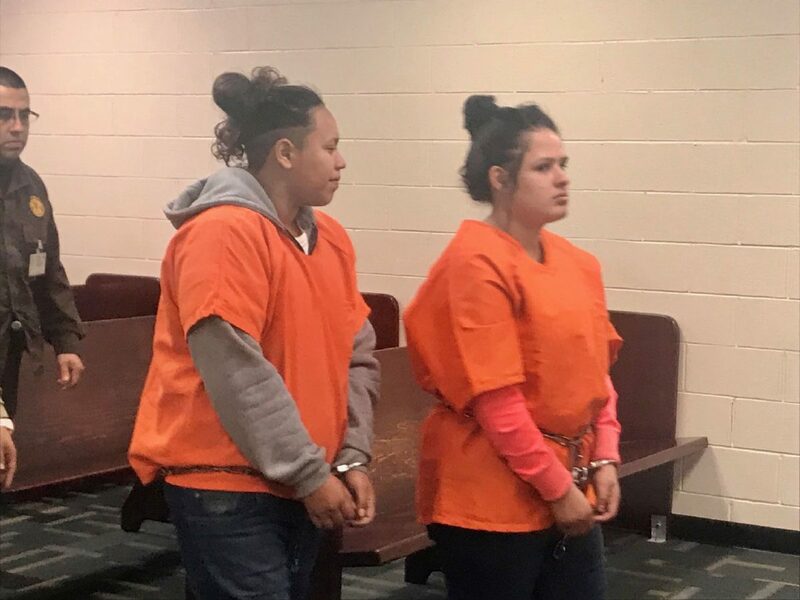 EDINBURG — Two women were arraigned Sunday on charges of attempted capital murder by terroristic threat. Twenty-three year-old Kristine Silva Dimas of Weslaco and 24-year-old Janette Loera of Edcouch are accused of allegedly beating a man with a shovel before robbing him and trying to shoot him in rural Weslaco. The incident occurred Friday morning outside a home on Milanos Road located south of Mile 6 Road North, according to sheriff’s spokeswoman Deputy Jena Palacios Pacheco. The three had recently met through Facebook. Although the women allegedly fired a gun at the man several times, he was not shot, said Palacios Pacheco. The man — whose identity has not been released — was taken to a local hospital with non-life threatening injuries and later released. Justice of the Peace Homer Jasso Sr. reads Kristine Silva Dimas, left, and Janette Loera the charges against them Sunday, April 8, 2018 at the Hidalgo County Sheriff's Jail. Both were arrested the previous day on attempted capital murder by terroristic threat charges. As Loera was led out of the arraignment room, she asked whether the gun had been found. Justice of the Peace Homer Jasso Sr. set each of their bonds at $250,000, telling them this was a low amount for a first degree felony charge. Both women have an arrest history dating back to 2011, having been arrested on aggravated assault with a deadly weapon and burglary charges. If convicted of the attempted capital murder charge, the women could face up to life in prison.